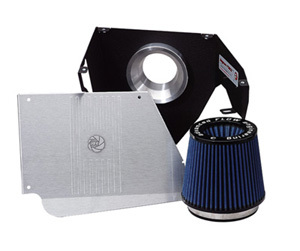 Increase horsepower and torque on your BMW E83 X3 with an aFe Stage 1 Cold Air Intake System. Adding an aFe X3 Cold Air Intake System to your BMW is the easiest and most cost effective performance upgrades you can do for your vehicle. This aFe Stage 1 Intake produces 20 horsepower and 17 Ft./Lbs of torque on the 3.0L. Installation can be completed in under 1 hour and uses all of the factory locations. Other than power gains many users notice gains in fuel economy when they are not on the throttle. Additionally - Save hundreds over your vehicle's lifetime as all the filters included with aFe Stage 1 Intake X3 are washable and can be reused. Trust ModBargains for all your aFe needs - We are one of the largest stocking distributors, many items are in stock at our local La Habra warehouse.